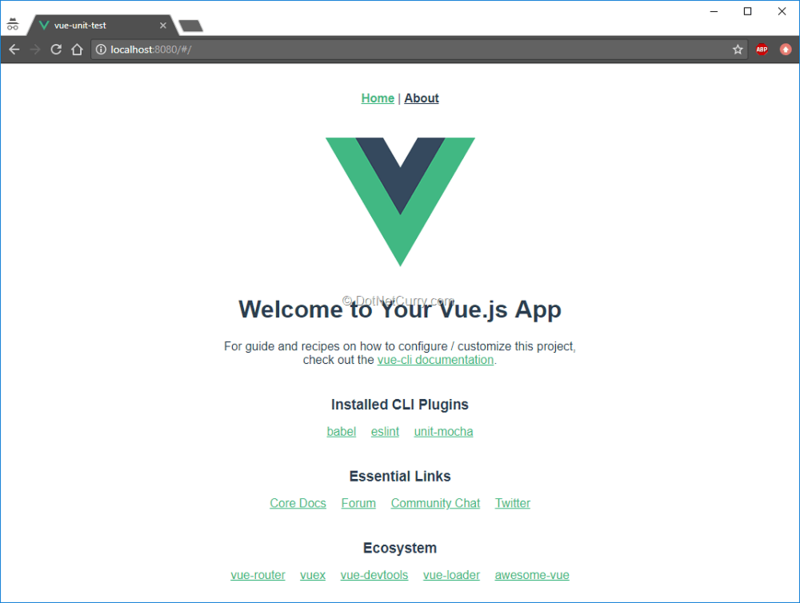 I have been using Vue.js as my default frontend framework since last year. I have been positively surprised by this framework which strikes a great balance between ease of use, simplicity, performance, and extensibility while leveraging modern frontend technologies like webpack, babel or ES6 to name a few. However, this might intimidate the uninitiated, as a certain understanding of such technologies is needed in addition to the knowledge of the framework itself. This is even worse when it comes to testing, which is an intimidating topic per se. Are you keeping up with new developer technologies? Advance your IT career with our Free Developer magazines covering Vue.js, Angular, React, .NET Core, MVC, Azure and more. Subscribe to this magazine for FREE and download all previous, current and upcoming editions. In this article, we will see how easy it is to write tests using the awesome vue-test-utils together with mocha-webpack. We will also see how the vue-cli does a great job at wiring all these technologies, so a new project has everything necessary to write unit tests from the very beginning. I hope you will find the article interesting and relevant to your current and future Vue projects! Even if you are not using the vue-cli, you should still find the information relevant once you manually setup mocha-webpack and vue-test-utils. You can find the companion code on github. First of all, make sure you have Node and npm installed on your machine. If you need to, you can download the installer from its official page. Other than that, you will just need your favorite editor and a browser. With the prerequisites sorted, the first thing we are going to do is to create a project using the vue-cli as it will give us a good starting point with most of what we need already wired out of the box. That is, with one single command, we will be able to generate a project with Vue, webpack, and mocha-webpack ready to go! - Run the npm test command and see an example unit test passing. That’s it, the project is ready for us to start adding more code and writing tests for it! Before we move on, let’s take a deeper look at how things work under the covers when using the vue-cli. - There is no webpack.config.js file(s) anywhere in the project. However, when you run npm run serve, the app is bundled with webpack and served with the webpack-dev-server! - The dependencies listed in package.json do not include the expected webpack, webpack-web-server, various webpack loaders, and mocha-webpack. 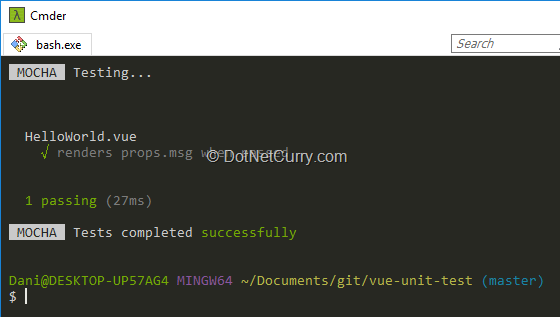 Instead you will see the @vue/cli-service and various @vue/cli-plugin-* dependencies. This is all fine because the vue-cli uses a plugin-based architecture in which plugins can define their own dependencies, command and webpack settings! In a similar fashion, you can inspect the definition of the base webpack config by opening the files inside the config folder. You will notice the definition of the webpack configuration relies heavily on webpack-merge and webpack-chain. This way optional plugins added to your project can easily extend/override the default webpack configuration! So how is this invoked when you run npm run serve or npm test? 3. The @vue/vue-cli-service inspects your dependencies and devDependencies for any additional plugins added to your project (like @vue/cli-plugin-unit-mocha). It then registers any new commands provided by them (so they are available in the CLI) and their hooks which extend the default webpack configuration. 4. 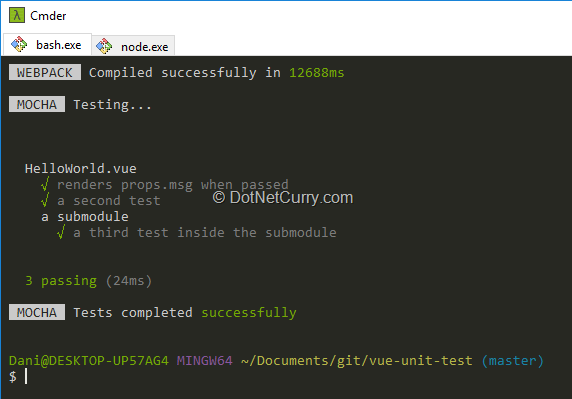 The vue-cli-service finds the test command, which in this case is defined by the @vue/cli-plugin-unit-mocha . 5. The test command invokes mocha-webpack and provides the default arguments for it like the test file pattern (defaulted as test/unit/**/*.spec.js) and where to find the webpack configuration. 6. As webpack configuration, it is pointed to a special file provided by the @vue/cli-service (found in @vue/cli-service/webpack.config.js) that returns the result of combining the base webpack configuration with the chained bits from all the different cli plugins, including the @vue/cli-plugin-unit-mocha plugin. That was quite an in-depth look at the end, but I hope it helped to demystify the vue-cli a bit . In my view, it is a very powerful tool, but it might feel hard to understand since there is a lot going on under the covers without it being explicitly part of your project. What if I don’t use vue-cli? Then you will need to wire the scripts for generating webpack bundles for production and generate/serve them for local development. If you already have a Vue project and you just want to add the minimum needed to unit test with the vue-test-utils and mocha-webpack, the official vue-test-utils has a section about it. Now that we have a project with all the setup needed to test Vue using the vue-test-utils and mocha-webpack, let’s focus on understanding how to write the tests themselves. The project generated by the vue-cli includes a simple unit test for one of the Vue components in the project. Let’s use this example test to introduce the basics of mocha, mocha-webpack, and vue-test-utils. - The function describe allows you to define tests grouped into modules. 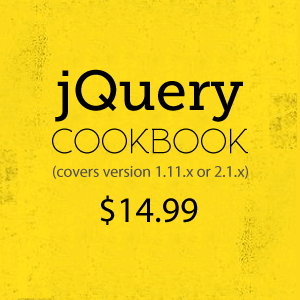 You provide the name for the module and a callback function where you define the individual tests. In this callback, you can also define submodules by adding further calls to describe. - The function it allows you to define a single test. Again, you provide the name for the test and a callback with the test method itself, where you exercise your code and perform assertions. A test passes if all the assertions succeed. - When mocha runs these tests, it will print the names of the modules and tests following the same nesting order in which they were defined. Each test will be clearly marked as a success or a failure. This should all sound familiar as it is the same across most test frameworks. Of course, mocha offers other features, some of which you will see during the rest of the article like the usual before/beforeAll/after/afterAll test hooks or support for asynchronous tests. As you can see, the test uses the function expect provided by the assertion library chai. The ‘expect’ flavor of this assertion library provides a BDD (Behavior-driven development) style of assertions which read like natural language. It’s also worth mentioning that mocha doesn’t care which assertion library you use, any library that throws instances of “Error” will be ok. So far there is nothing new to someone who wrote tests for Node.js applications using mocha and chai. It is time to see where the vue-test-utils and mocha-webpack get involved! This is a very simple component that receives an input property which is then included in the rendered html, which is exactly what we are testing. If you remember, at the beginning of the article, I said you would need Node.js installed for running the tests. So how are we able to run these tests in Node.js after all? 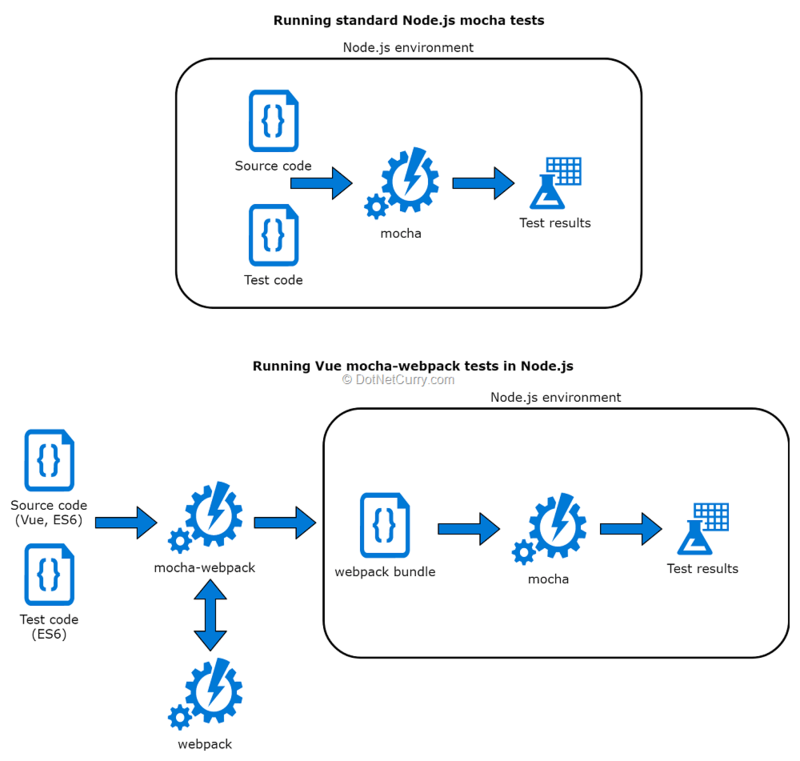 With mocha-webpack we can process the tests and source code using webpack before the tests are run. The final piece is understanding how we have been able to instantiate the component in our test and perform an assertion over its rendered output. This is where vue-test-utils fits the puzzle. This API exposes the shallow method, which allows you to instantiate the HelloWorld.vue component into this virtual DOM. It returns a wrapper that you will use to interact with your component and the virtual DOM it’s being mounted, for example triggering events or inspecting the resulting html. The shallow method also allows you to provide input properties to your component. We will also see through the article how it can be used to inject mocks. There is an alternative to shallow called mount, which is briefly discussed later in the article. With that, you should now have a decent understanding of everything involved so you can write and run that simple test! If you are still with me, we can start looking at some of the common scenarios you will find when testing Vue components. The example test we analyzed earlier showcased one way of testing its rendered output, by using the text function of the component wrapper. There is an alternative way of testing the rendered output, which is the html function of the component wrapper. It is also possible to access the data properties of the component instance by getting the instance reference from the component wrapper. This lets you assert directly over the component state (its data properties) instead of the rendered output, letting you decide between the 2 approaches according to your needs. The component state can be seen as an internal implementation detail, and by directly accessing it in your tests, you might be coupling them too much to your implementation. However, testing your component rendered output might make your tests more brittle and dependent on the templates which tend to be modified more frequently. This is a trade-off you will need to solve by yourself. The component wrapper exposes a vm property with a reference to the actual component instance, where you can directly access its state, computed blocks, methods etc. Computed properties can be tested in the same way as the component state, by means of getting a reference to the component instance. This way, testing a computed value is as simple as asserting that the value of the wrapper.vm.computedName is as expected. However, by their own nature, computed properties depend on either the current component state or other properties. This means you probably want to use the setProps and/or setData functions of the component wrapper to update its state and verify the computed property was reevaluated as expected. Our component binds an event handler to the click event of the button that increases the counter. Triggering the click event is straightforward using vue-test-utils, allowing us to write tests to verify the expected behavior. We just need to locate the html element using the component wrapper, and then use the trigger method with the event name we want to trigger. As discussed earlier, you could decide to verify how the rendered html changes as a result of the event or how the component state has changed. Many times, you will define component methods to be used as event handlers for browser events but that’s not always going to be the case. For example, some methods will be used as event handlers of events emitted by nested Vue components, which cannot be triggered when mounting components using the shallow function. This shouldn’t stop you from testing any component method as you can invoke them directly through the reference to the component instance as in wrapper.vm.methodName(methodArgs). As we discussed while testing the component data, by doing this you are getting into the internals of the component and possibly your test knows too much about the internal implementation. Try to trigger the events through the wrapper when possible/practical. It is not uncommon for Vue components to emit events themselves under certain circumstances, that other Vue components can listen and react to. In fact, this is the recommended mechanism for communicating a child component back to its parent. The wrapper provided by vue-test-utils also provides a handy way of verifying that the expected events were emitted by the component you are testing. Note: you might be wondering what is the difference between to.be.equal() and to.be.eql(). With equal you perform a strict equal comparison which requires both values to be of the same type and for Object/Arrays to point to the same instance. With eql you perform a deep equal comparison which works the same for simple value but also succeeds for object/arrays if they are different instances but have the exact same properties. There is a second way of instantiating components using the vue-test-utils other than the shallow method, which is the mount method. With the shallow method, any child components rendered by the component under test are automatically stubbed. This way the component is tested in isolation and the tests are faster since it doesn’t need to update and render the entire component tree. On the other hand, the mount method will create an instance of every child component, include them in the component tree and include its rendered output in the virtual dom. You can think of them in terms of unit vs integration tests. The shallow method is perfect for writing unit tests isolating your Vue components, while the mount method is needed when writing integration tests involving several components. You can read more about this rationale in the vue-test-utils docs. Until now we have managed to test our component in isolation by instantiating them with the shallow function and providing any input prop data. However, we have been testing a decidedly simple component with little interaction with the outside world. Let’s modify it by adding an extra button that will increase the counter according to the result of an HTTP request, which will be sent using the axios library. This adds a new challenge to our tests! In order to test the behavior of the new button, we need to mock the $http property of the component instance so it doesn’t try to send a real HTTP request and instead uses some predefined behavior. Before we move onto injecting mocks for our dependencies, we first need to define them. This is where a library like sinon.js will be of great help as it provides a simple but powerful way of defining mocks for any dependency you need. The first thing you should know when using sinon is that they have split the api for creating stubs and spies. A spy is basically a method that returns nothing but keeps track of every call received. A stub is an extension of a spy. Apart from keeping track of individual calls, it lets you define the behavior for those calls. For example, you can define a stub that always returns a value or a stub that returns a particular value when some specific inputs are provided. This way we are simulating the actual HTTP API (which returns an array of users in its json response) when the GET method is invoked with the correct url. We know how to define a mock as either a static object or a more dynamic sinon stub/spy. Now we need to inject these mocks into the Vue component instance when using the shallow/mount methods. The main change with the previous test is that now our test is asynchronous as it depends on a Promise being resolved (even if we mocked this.$http.get it still returns a Promise). That’s why our test method accepts a done parameter and wraps the execution of the assertion in a call to setImmediate. This way the promise can be resolved before the body of the setImmediate is executed and our assertions run. You can read more about the support for asynchronous testd in mocha in its docs. Many other Vue libraries and plugins follow the same idea of injecting methods and properties into the component instance, like vuex which injects the $store property. This means by following this approach, you will be able to mock dependencies on more than one of Vue’s plugins/libraries. Not every dependency will be a friendly Vue plugin that injects methods/properties into the component instance. Sometimes we will find dependencies which are simply imported into the component code. 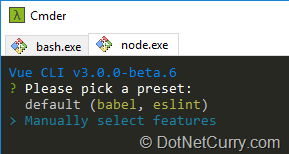 With the latest versions of the vue-loader (13.0.0 or higher ) the preferred way is using the babel-plugin-rewire. In previous versions, you could also use the inject-loader but this no longer works, so be careful when you read some “old” 2017 tutorials. Now the plugin is wired and every time we import a Vue component (or any other file) a function named __Rewire__ lets you replace any dependency loaded through an import statement. Where the first parameter to the rewire function should match the name of the variable and not the string used with the import statement! Writing tests is not easy. Particularly when you want to write good tests, the ones that give you confidence about your software without slowing you down, locking your design choices, or costing you too much time/money. In fact, it is probably one of the hardest aspects to master about software development. That’s why it’s worth designing your testing strategy with different types of tests in mind (unit, integration, e2e). In the context of web applications, as more and more functionality and effort are put into the client code, you also need to consider the client code in your testing strategy. Client-side testing with modern frameworks like Vue gets even more complicated due to the number of tools/libraries involved. The fact that half of this lengthy article is dedicated to explaining how things are setup and work under the covers, is a testament to that. But as I hope the second half of the article has shown, once the basic setup is in place, writing tests for your Vue components is a surprisingly pleasant and straightforward experience. And one would hope that as we get better tooling like the vue-cli, it becomes easier to get started writing unit tests and more developers find themselves writing them.